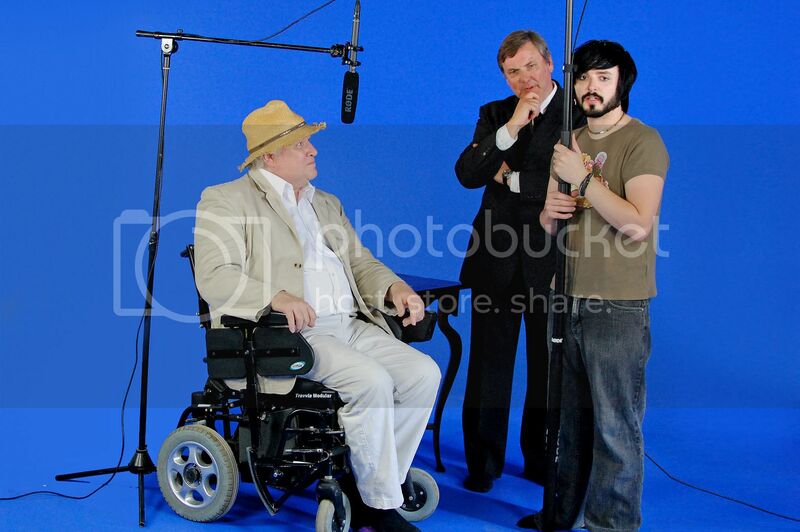 Sixth Doctor, Colin Baker, has spent the last few days filming for an independent feature film, Shadows of a Stranger. The film is described as an original tale that 're-samples' Charles Dickens' A Christmas Carol in a dark melange of 'ghostly' visitations, psychic travelling, and the search for one's atrophied humanity. It is being shot entirely on bluescreen. Doctor Who Composer, Murray Gold has given an interview to The Daily Anthenaeum, in which he talks about his work on the series since its return in 2005 and the pressures of the relentless Doctor Who schedule. "There is never more than two weeks for a complete turnaround," he says. "At one point we dubbed five episodes in five weeks. It was almost impossible. I would start an episode and it would need to be finished four days later." Writer Neil Gaiman has won the Cilip Carnegie Medal, for his fantasy tale The Graveyard Book. The award for children's fiction is the second major award for the novel, about an orphaned boy brought up by ghosts. The Carnegie Medal is awarded annually to the writer of an outstanding book for children. It was established by in 1936, in memory of the Scottish-born philanthropist, Andrew Carnegie. Gaiman has completed a script for the 2011 series of Doctor Who.